Growing up in South Africa with a white father and a black mother, Trevor Noah confronted prejudices on both sides. He tells Fresh Air's Terry Gross that both white people and black people would express fear and biases to him. Then, he says, "I'd have to explain to them, 'Hey, you can't think like that. You can't hold these views, because you're generalizing everybody.' 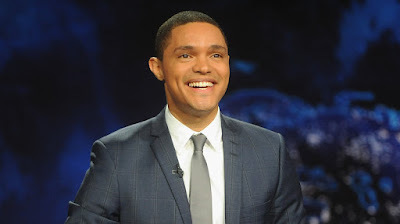 "
His experience growing up enables him to see both sides of an issue — which helps when it comes to creating political satire on The Daily Show. "I've understood multiple experiences simultaneously," he says. "That's something I've always done and I continue to do till this day: I try and see the perspective of the other side." publicadas por Carmelo Ruiz a la/s 9:30 p.m.